(Cambridge, UK: Cambridge University Press, 2008) explores a relatively invisible group of September 11 survivors: therapists. New York City was overwhelmed by the need for mental health professionals to help survivors and witnesses cope with the horror of the attacks. To their credit, many came forward in the city as well as from other parts of the country. But helping those who grieve after a terror attack presented challenges never before considered. Most of the therapists were “outsiders”. Firefighters, already a tight-knit, closed society, were unwilling to talk to anyone outside of the department (assuming they talked at all). Unless you were one of them, you didn’t ‘get it’. There was no way they were taking time off to grieve, when their department had been decimated and needed them. Survivors, who may have lost dozens of co-workers and friends, didn’t know what to do with their grief. They attended memorial services, but without a body to see, had a hard time accepting that a death had occurred. Their grief was delayed, extended, and a source of chronic physical and emotional strain. But in the meantime, they had to pick up the slack at work, making up for the loss of co-workers. 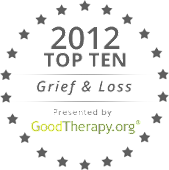 For many, the real grieving didn’t begin for a year or more. Forgotten in all of this were the therapists who tried to help. Few were prepared for the complex issues they faced. Few were prepared to sit in their office, and listen to their patients recount stories of absolute horror…multiple times a day…day after day after day. If it’s true that ‘no good deed goes unpunished’, this is a great example. You didn’t have to work in the World Trade Center or Pentagon to be a survivor, to be directly affected by what happened on that clear, blue Tuesday morning. If you or someone you know survived, be gentle. The upcoming 10th annniversary is bound to reopen those wounds. I love your site and as I browsed your blog I decided to award you the Inspiring Blog Award. Thank you so much! I picked up my award and I'm showing it off proudly! Beautiful post :) Not something one usually thinks about, but something that definitely needs to be addressed. thought provoking post. great site for people who need space to pour their grief out. Thanks to you both for stopping by! This was a subject that surprised me when I started doing research for the 9/11 chapter in my book. It really shows how grieving touches those around the grievers, too.